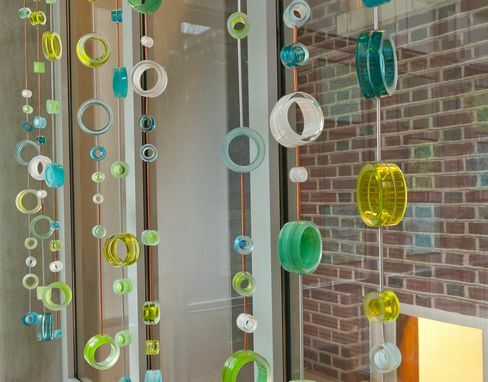 This piece was originally created as a maquette for a commissioned public art project and is an example of my signature glass work. 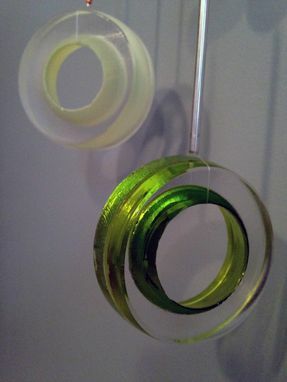 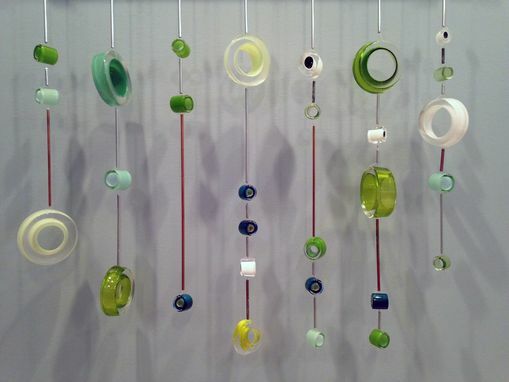 A series of hanging glass circles create a whimsical grouping that plays with light and pattern. 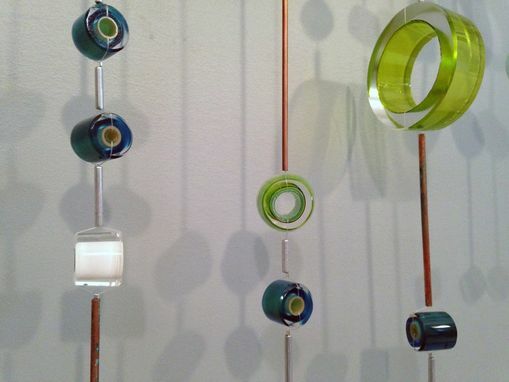 The glass circles are formed from handblown glass tubing, cut and polished. 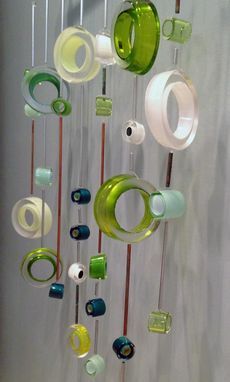 The hanging glass circle series can be customized with choice of color, size, shape, and number of stands. 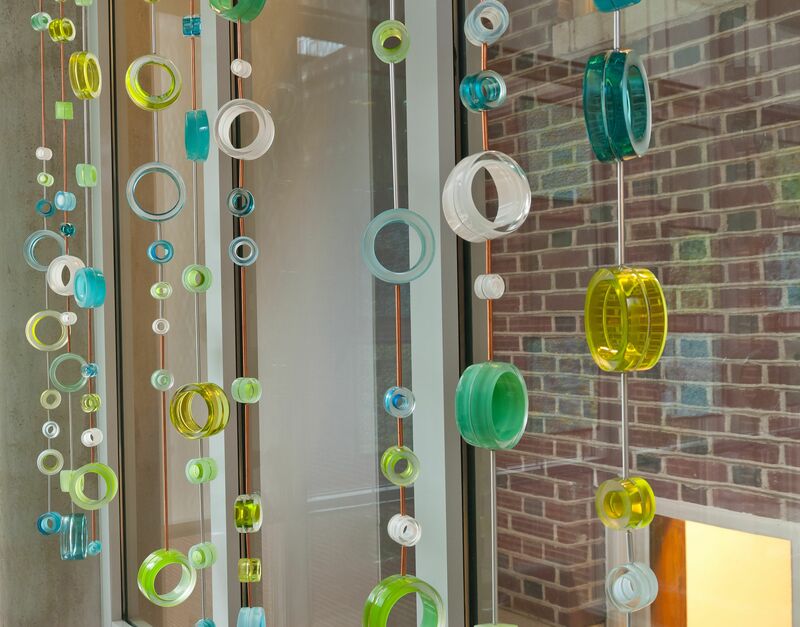 Pricing varies with each custom order based on size, amount of glass circles, color, and display choices.